Commissioner Burns’ blog is based on his recent 57th Barton Pope Lecture, delivered during 2018 Mental Health Week. The Lecture is available to download below. When you analyse the Australian Institute of Health and Wellbeing 2015–16 data, our state is well served in terms of mental health and wellbeing. It is evident we have a highly professional, hard-working and committed mental health workforce in South Australia. By comparison with all other states on a per head of population basis we are second only to the ACT in specialised mental health care Salaried Medical Officers (mainly Psychiatrists). We blitz the other states with the highest number of mental health nurses per head of population. And we just pip the westies with the highest number of mental health related allied health workers per head of population. Figures show that South Australia spends 14% more than the national average on a per capita basis on mental health services – the third highest in Australia after the Northern Territory and ACT. Our average length of stay is 10.5 days across acute inpatient units compared to the national average of 13.2 days. According to the Australian Institute of Health and Wellbeing’s latest statistics, South Australia had 39.4 inpatient and residential beds per 100,000 of population compared to the national average of 36.7 beds. Interestingly, South Australia has the highest rate of mental health presentations to emergency departments in Australia at 4.8% versus the national average of 3.6%. So, by many measures our state has the resources it needs to run a good mental health service. Which begs the question – why are our clinicians and medical staff so stretched? What those statistics don’t reveal is how effectively and efficiently we are using our resources. Over the decades, multiple reviews have been conducted with too numerous recommendations made and relatively few enacted. So, is there a non-clinical option? I do believe there is a disrupter that is worthy of consideration. We need to free-up our clinicians to allow them to focus on those that are truly in need of their care and make best use of our limited and expensive clinical resources. We currently have a very ad hoc and small peer workforce spread across our public, private and non-government sectors. An essential criterion for a peer worker is that they have lived experience of mental illness, as a consumer and/or a carer. Peer support involves training people with their own lived experience of a mental health issue to support and guide others who have further to go on their recovery journeys. This enables them to sit beside someone experiencing mental ill health, or a carer, and empathise with them while providing support and guiding them through their recovery journey. It’s often the case that people in need of help will relate with and learn from peers who have ‘walked the walk’ of mental health recovery. Peer support is now seen as a pillar of mental health recovery, a reliable and cost-effective way of guiding people with mental health issues to meaningful and independent community living. Peer workers complement the work of clinicians, they don’t contradict it. We’ve seen some great examples interstate and overseas of professionalised peer workforces in the mental health arena. In these workforces, individuals are screened for suitability and carefully selected through a merit-based process. They are trained and supervised. There is an established career structure with the opportunity to improve their skills through further training and experience. Experience of peer workers and clinicians combining in crisis response and management overseas has demonstrated significant reductions in first responder workloads, emergency department appearances and acute bed occupancies. A peer workforce does not need to be government employed. Overseas experience demonstrates alternatives that are commercially viable and deliver significant savings while freeing up clinicians to perform their vitally important roles. It is difficult to imagine an aspect of our society that would not benefit from a professionalised peer workforce. From crisis response and management to inpatient care. Peer workers could deliver resilience and positive psychology programs in our schools, universities and tafes; freeing–up our teachers and instructors to do what they do best – educating our next generations of South Australians. Peer workers could support employers to maintain mentally healthy workplaces and they can support our older persons. They have a place in our courts, the corrections system, with first responders, in sports clubs and in the broader community. I truly believe we need to take a serious look at developing a professionalised mental health peer workforce to augment and enhance the existing highly capable clinical mental health workforce we have in South Australia. We have a vision to be a resilient, compassionate and connected community focused on building, sustaining and strengthening the mental health and wellbeing of South Australians in order to grow the State’s mental wealth. That is an achievable vision provided we think outside the box and look for other options that might prevent mentally unwell South Australians appearing in our Emergency Departments and occupying acute beds. A professionalised mental health peer workforce is but one of those options. 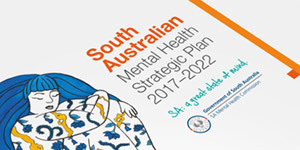 Chris Burns became the inaugural South Australian Mental Health Commissioner in July 2016. An experienced advocate and strategic planner, Chris is a former military officer and consultant in defence and international relations. Most recently, he was the CEO of South Australia’s defence industry association successfully campaigning for the Australian Navy’s next fleet of submarines and surface ships to be built in Australia. 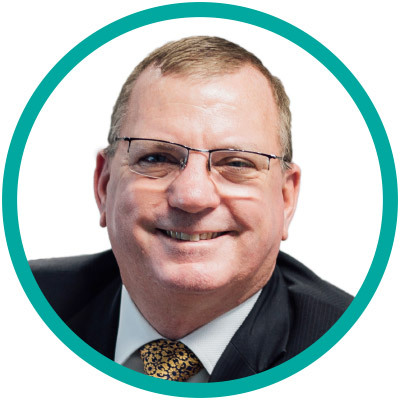 In leading the SA Mental Health Commission, Chris is focussed on taking a holistic approach to strengthening the mental health and wellbeing of South Australians in order to grow the state’s mental wealth.